I have a card in my recipe file behind the “Pies” tab that reads: “I am smarter than Crisco and flour.” It’s like one of those positive affirmations a motivational speaker would teach you at a high-priced seminar. Only problem is, I’m not. I’m not smarter. Oh, I’ve tried, I’ve tried many times. I’ve got friends and relatives who are – smarter, that is – who can bake simply lovely pie crusts, but try as I may, I’ve surrendered; it is not my forte. 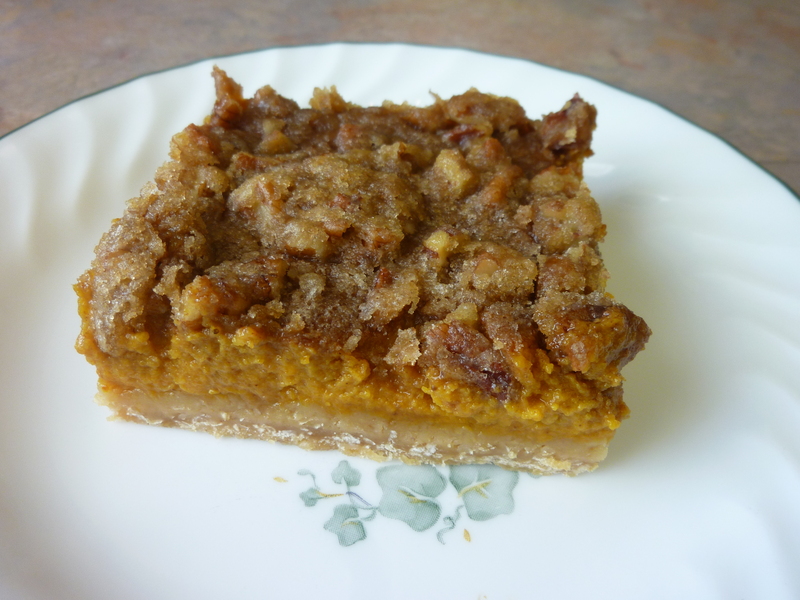 So today I bring you a recipe for “Pumpkin Squares” for people who AREN’T smarter than Crisco and flour. Mix well with mixer, pour over crust. Mix well and sprinkle over filling. Bake @ 350º 15 – 20 more minutes, or until filling is “set”, but don’t burn the nuts. Chill. Serve with whipped topping or vanilla ice cream. Warm butter, milk, and water together. 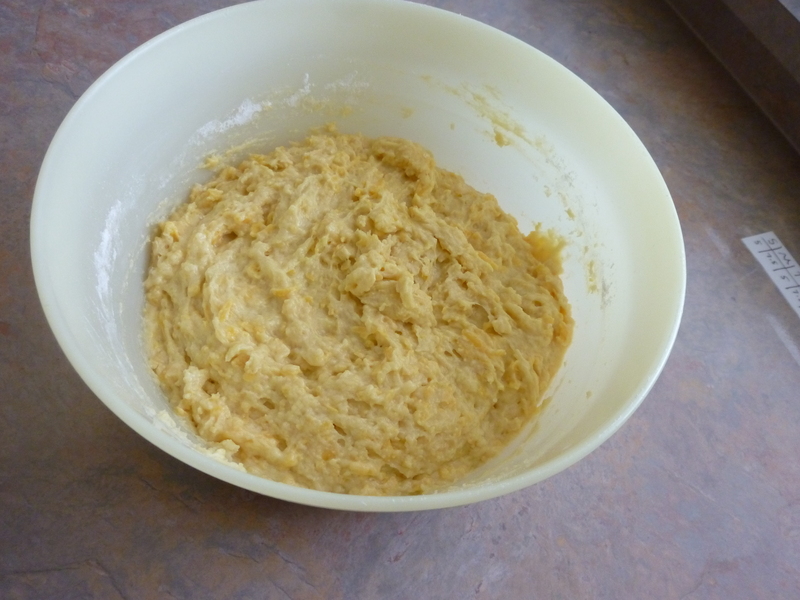 In a large bowl, combine 1 1/2 cup flour and all other ingredients. Beat 3 minutes at medium speed. By hand, stir in remaining 1 cup flour. Cover. 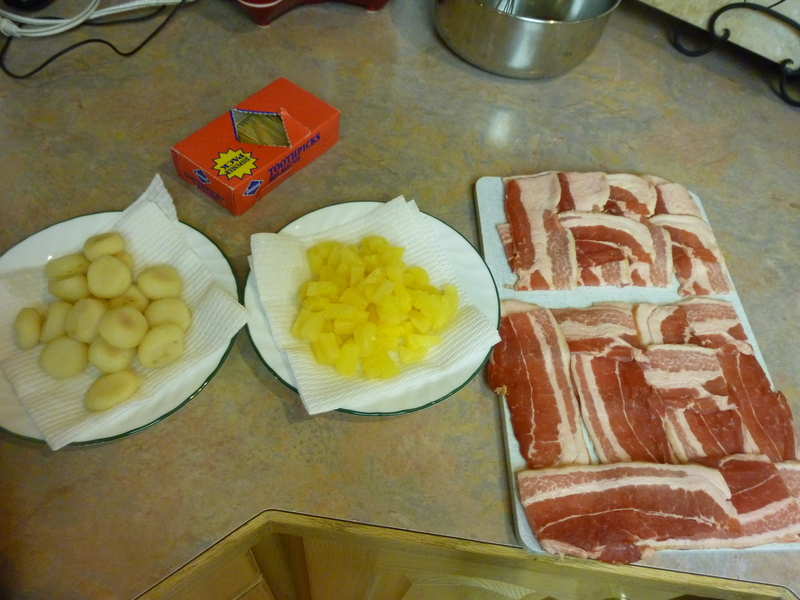 Let rise until light, ~ 45-60 minutes. 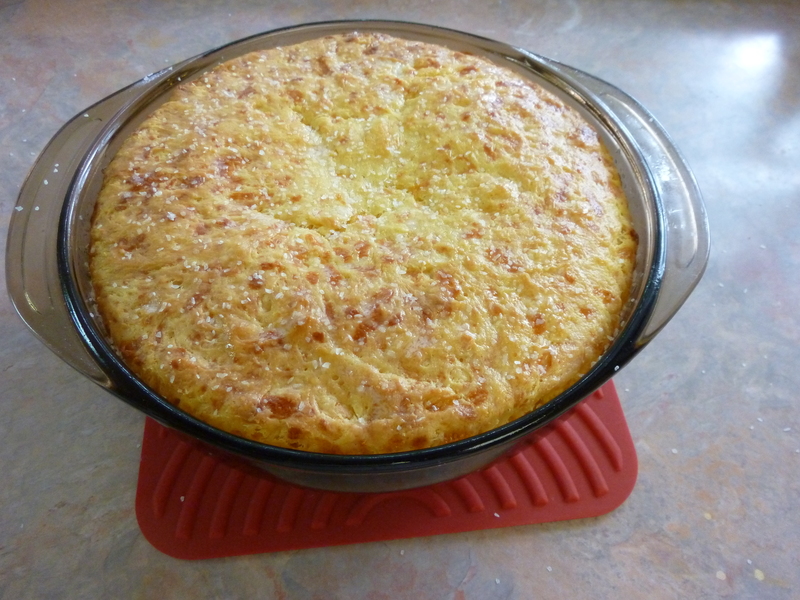 Grease a 9×5 loaf pan (I use a nine-inch round Pyrex). Stir down dough, place in pan. Bake at 375º (350º for glass pan) 40-45 minutes. When it comes out of the oven and is still hot, I like to coat the top with a generous coat of butter, then sprinkle with coarse kosher salt. If you are serious about working here, you need to show me (by references and interaction) that you have a positive, can-do attitude, as well as an incredible work ethic. This is a young–but high-performing–team, and we are serious about keeping it that way. 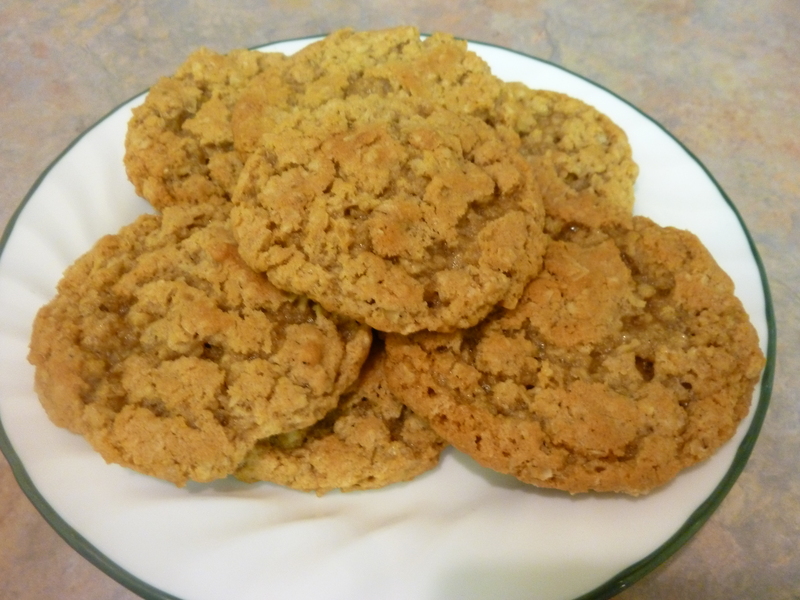 Most people’s recipe boxes have several oatmeal cookie recipes. So add another one already. 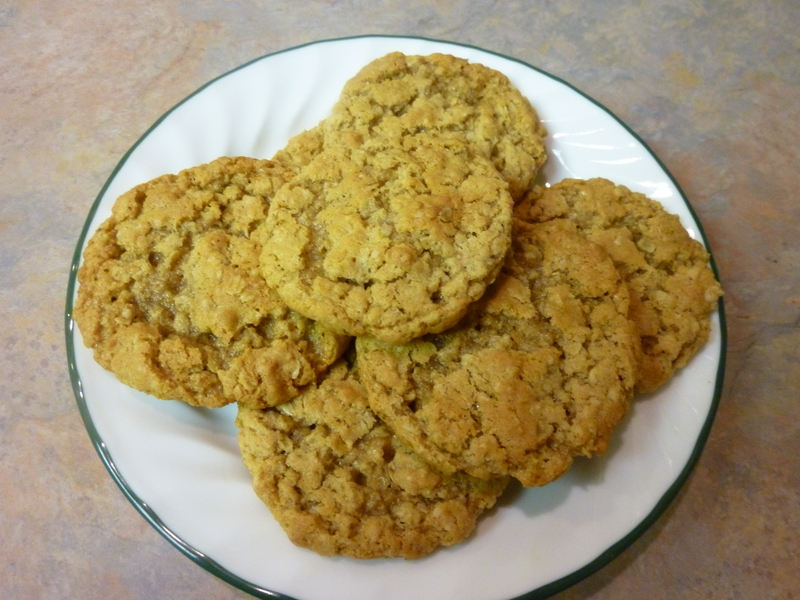 Honestly, this is very possibly the best oatmeal cookie you will make/eat. Credit the butter and the spices. Preheat oven to 350º F (175 Cº). 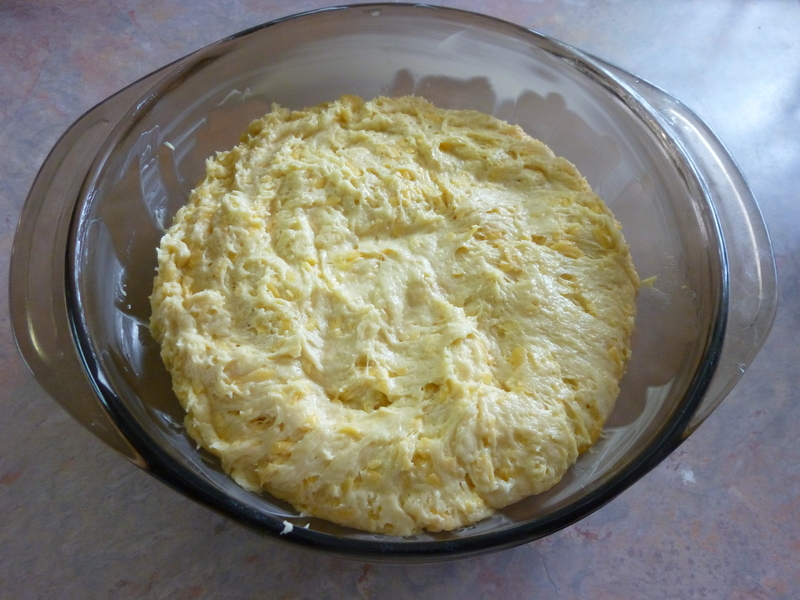 In a large bowl, cream together butter, shortening, sugars, eggs, and vanilla. (Hint: crack the eggs into the measuring cup you’re going to use for the shortening, empty the eggs into the bowl, but don’t wash or rinse the cup before you put the shortening in it; the shortening will fall right out of the cup.) Combine the dry ingredients in a separate bowl, stir into the sugar mixture, add raisins if you like. Careful as you stir, dough will be very thick, you could break a wooden spoon. Drop by rounded teaspoons (or a small scoop) onto a greased cookie sheet. Bake 9 to 11 minutes until light and golden; do not over bake. Let them “set” a couple minutes on the cookie sheet before you remove them to a foil-lined counter to cool completely. This recipe usually comes out at Christmas and New Years. I wondered if anyone may be interested because of the Super Bowl coming up in a week or so. You could probably make this just from reading the title or looking at the pictures, pretty simple stuff – and pretty darn tasty. 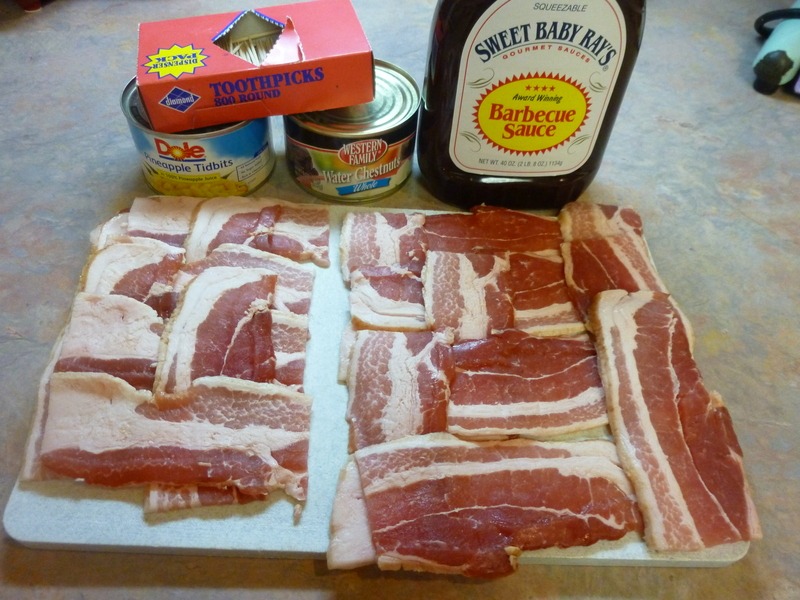 Cut a package of bacon in half. (You don’t have to arrange them in a lattice pattern like this unless you want your spouse to tease you too.) Drain 1 can (8 oz.) whole water chestnuts and 1 small can pineapple tidbits. 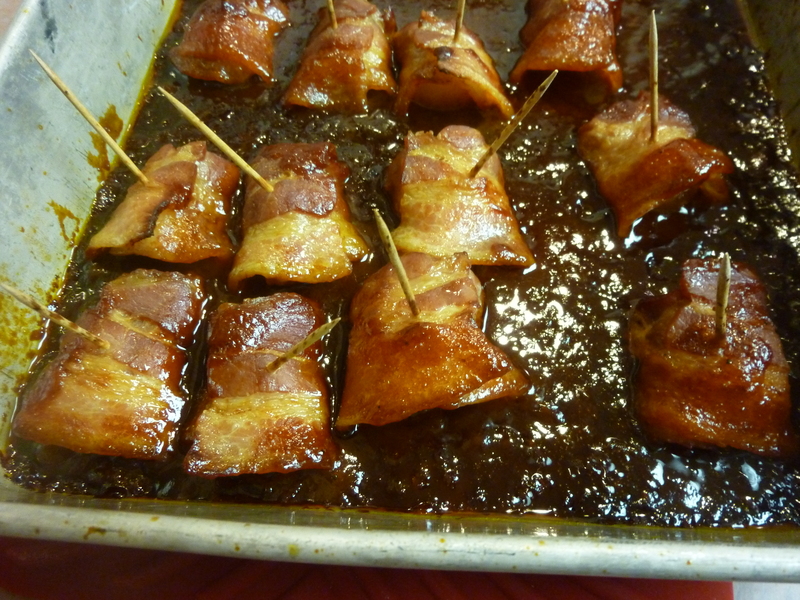 Wrap each chestnut and tidbit with a half-slice of bacon, securing with a toothpick, and place in a 9X9 baking dish. 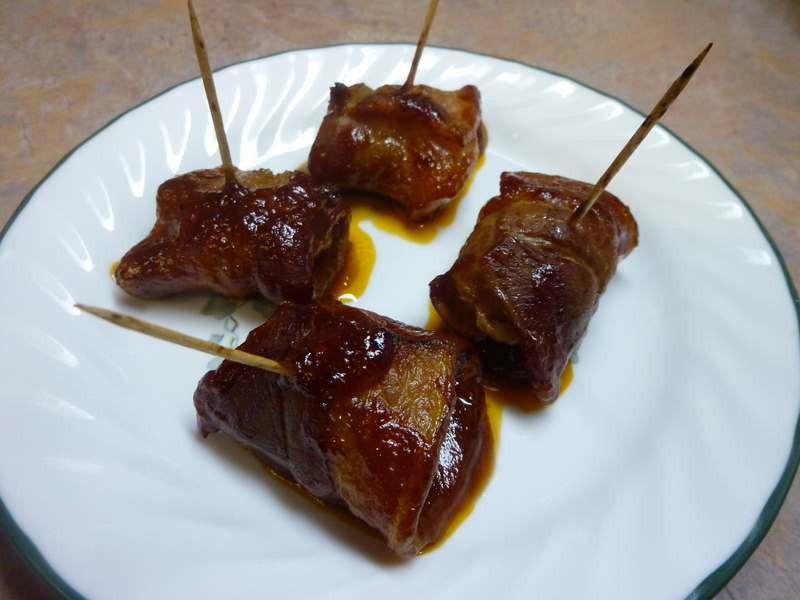 Combine 1 cup barbecue sauce with 1/2 cup honey and 1/2 cup grape jelly, pour over and around wraps. Bake covered at 400 degrees Fahrenheit (204 degrees Celsius) for 20 minutes; uncover and bake 10 minutes more. 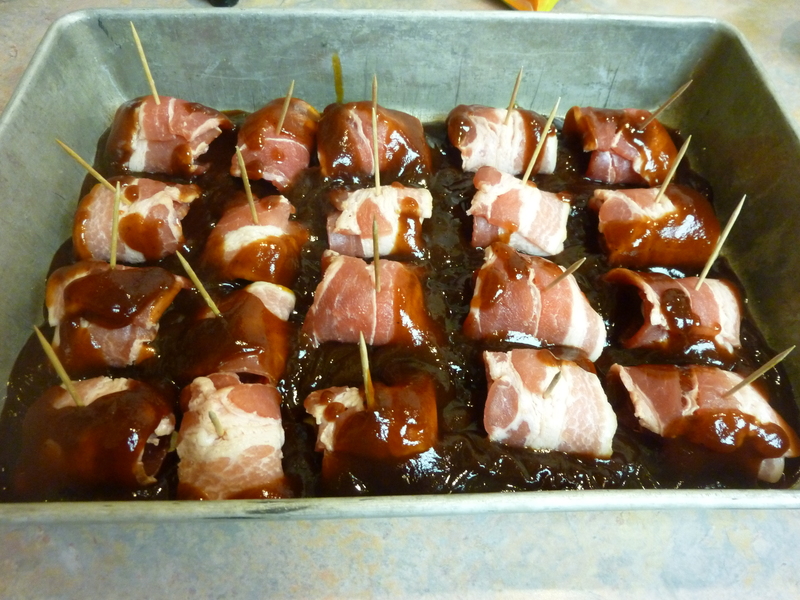 Bacon and barbecue sauce – yum! If you want to change your payroll withholdings and /or deductions, here’s a link to the new W-4. Most companies merely require you to fill this out and turn it in to their payroll department. Note: Posts on this blog are for information only, and are NOT legal advice. I intentionally write “B&W” rather than “Black and White” … just feels right. 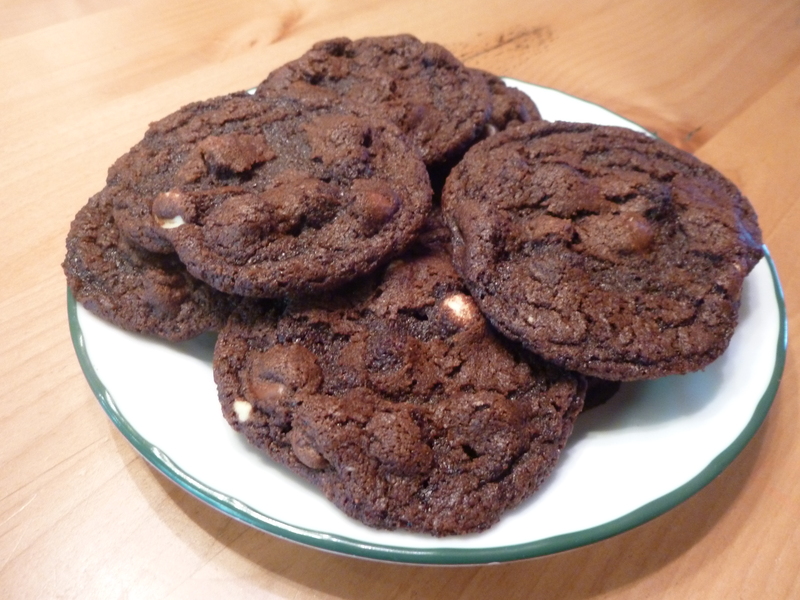 This cookie started out as a chocolate base with peanut butter chips. I do like peanut butter, but apparently not as much as others; I’m especially not a big fan of peanut butter chips in cookies. So, I swapped out the peanut butter chips originally called for with half semi-sweet, and half white chocolate. You can’t see the semi-sweet chips in these pix. 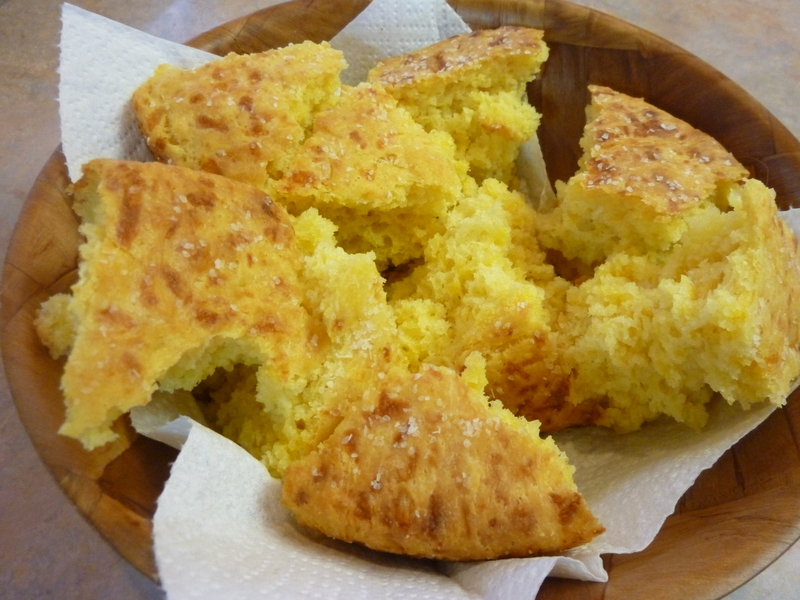 In a large mixing bowl, cream butter and sugar; add eggs and vanilla, beat well. In a separate bowl, combine flour, cocoa, baking soda and salt. Incorporate into the creamed mixture with a stout spoon, the dough will be stiff. Stir in the chips. 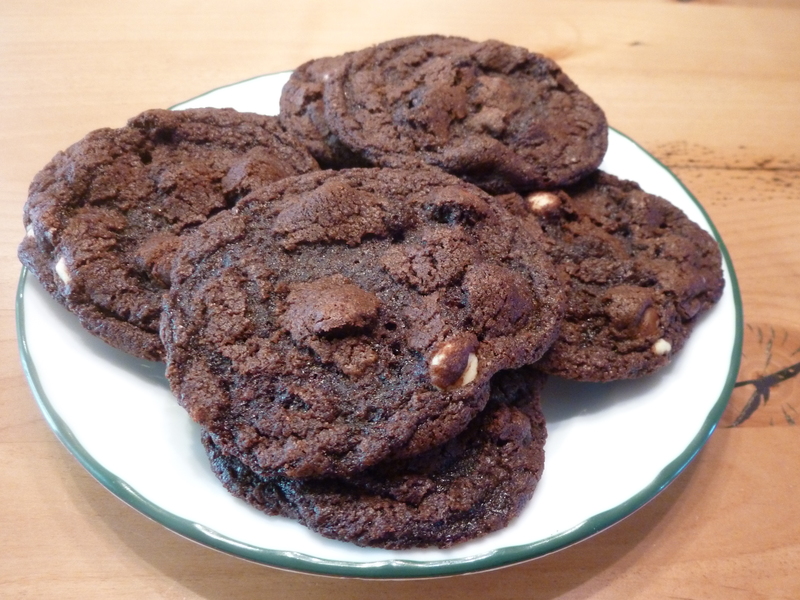 Drop by teaspoonfuls onto a greased (I don’t know why all these recipes always say “ungreased” – you ever tried to scrape the cookies off an ungreased sheet?) cookie sheet. Bake 8 to 9 minutes. Do not over-bake; cookies will be soft. 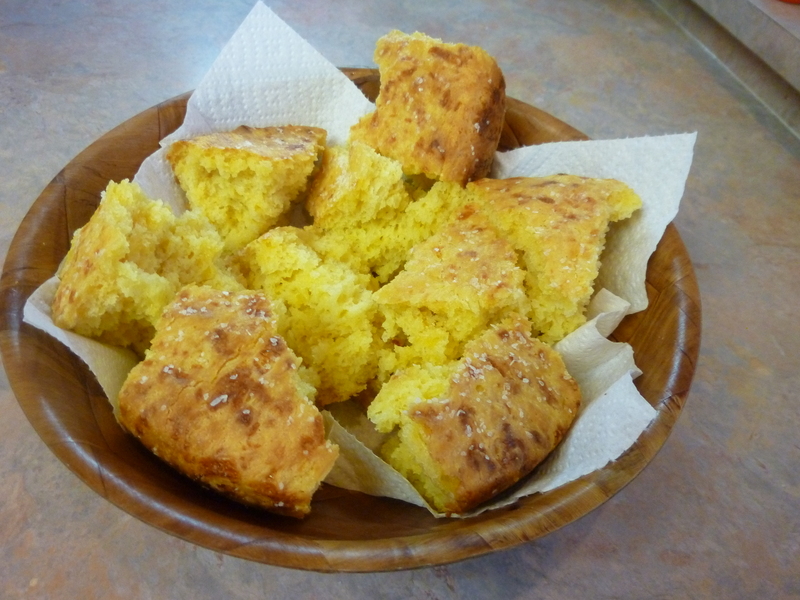 They will puff while baking and flatten while cooling. Allow to cool a few minutes on the sheet, and then remove to a rack or aluminum foil on the counter-top to cool completely.